Steve Robbins is the author of Best Man Speeches Made Easy. 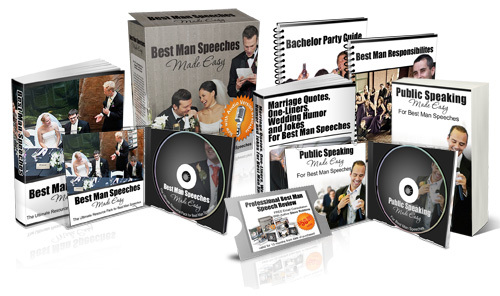 A full package including books / audio / video on making it super easy to put together a winning best man speech in the shortest amount of time. Nothing is held back in the package and the bonuses alone are worth it to get a hold of the package. Especially the speech review bonus giving you one on one access to Steve for a final once over of your speech before the big day. The focus of the blog is to offer a more multimedia format of show and tell, for writing and delivering a best man speech. Sometimes you just can’t write it all out and the blog is a great medium for video and audio.